Augmented reality is known as the integration of digital data with the environment around you. This integration is done in real-time, so you can see the results as you look around. Augmented reality uses the area around you and adds new information to it, this is unlike virtual reality, which creates an entirely new environment to immerse yourself in. The virtual reality market was initially predicted to increase drastically and generate a lot more revenue than it actually does today. 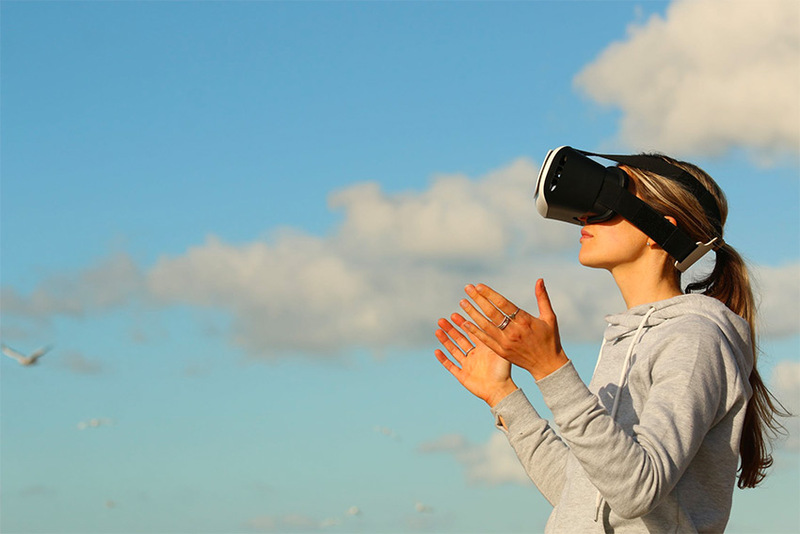 There are many reasons for why virtual reality has not done as well as it was expected to do, one of these reasons being that the hardware which is needed to immerse yourself into the virtually created environment is expensive. This hardware includes products such as the Oculus Rift, HTC Vive, Google Daydream View, and a powerful computer to run the virtual reality applications. The virtual reality market is not doing well at all when compared to the augmented reality market. An example of a mobile app using augmented reality is, for example, Pokemon Go. You must have heard of this app before, there’s no way you haven’t unless you were living under a rock. Pokemon Go generated more than $600 million in its first 3 months of being released. This revenue which was generated by just one mobile app which implemented augmented reality, had a greater value than the entire virtual reality market in 2016. This shows the potential that augmented reality has and how popular it is when used in the right way. It can be argued that Pokemon Go isn’t a real AR app, as the augmented reality aspect of it can be switched off if the user decides to do so. However, this mobile app pushed augmented reality into the mainstream and this has resulted in other augmented reality app developers wanting to dwell into augmented reality and invest in it. Big brands will be able to take full advantage of augmented reality and develop apps which help them attract more customers and generate revenue. One example is the Ikea Place mobile app, this app uses augmented reality to allow users to place 3D objects, such as furniture into their own homes using their mobile phone’s camera. Apple has also released AR related software, which is the ARKit. This software allows developers to build augmented reality experiences for iOS users. Augmented reality apps like the Ikea one can change the way people shop. This means that augmented reality technology has changed the way businesses perceive augmented reality, and it has given them ideas about how they could implement this new trend into their own products so as to deliver new and unique solutions which will appeal to their customers, as well as draw in new ones. Mobile phone augmented reality is going to become mainstream due to its popularity. One example of a viral AR mobile app which has already been mentioned is Pokemon Go, this app proved that augmented reality and mobile can go hand in hand and create something incredible. Pokemon Go was seen as an early success for mobile phone augmented reality and paved the way for more AR mobile apps to be introduced. There are, however, some obstacles which need to be removed before mobile phone augmented reality can become mainstream. Two of these obstacles are: a good augmented reality headset and augmented reality content. Without augmented reality content, there would be nothing to do, it would be like using your mobile phone without any apps. Augmented reality content needs to be developed, and it needs to be good for users to actually want to use it. If this doesn’t happen, then AR technology will take a turn for the worst. However, this isn’t likely to happen because there are well known companies like Apple who are taking an interest in the augmented reality market and are investing in it to provide a great and unique experience to customers. Additionally, companies will likely create mobile phones that are able to use AR technology better, and that is because these new mobile phones will drive more sales and generate more revenue. People used to replace their mobile phones more frequently than they do today, and this is because they don’t really see any real reason to replace the one they currently have. This is due to mobile phones being able to carry out the tasks people need them to do on a daily basis so replacing them just seems like a waste of money. However, if mobile phones were able to properly deal with AR technology, or deal with it better than now, people would be more likely to purchase these new phones, which will then increase the company’s sales and revenue. The augmented reality industry is becoming much more popular, which can be seen through the fact that augmented reality app developers are among the highest paid technology specialists. This shows how much the industry has evolved since it first began. The AR market will see much more growth in the years to come, as well as a lot more progress, and this will allow it to tip into the mainstream. A report stated that augmented reality is going to be worth approximately $108 billion by 2021. This suggests that augmented reality is going to make great progress in the near future and, with everything going on lately related to augmented reality, 2018 is going to be a big year for the AR market. 2018 will help augmented reality become mainstream and allow people to use it in their daily lives. Besides being used in different industries such as healthcare and education, these industries would be able to use augmented reality to more effectively carry out the day to day tasks, and see a lot more success through positive results. AppExpanse is a blog that tries to make app development easier to understand.